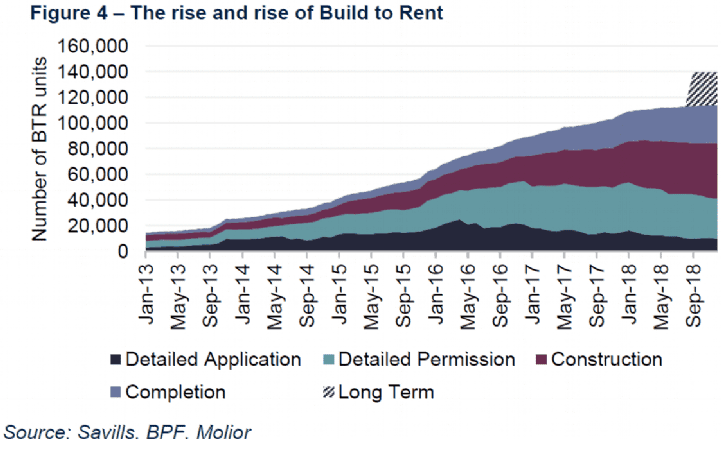 The Build to Rent (BTR) sector has continued to grow in 2018. The total number of new BTR units completed, under construction, or in the longer term planning pipeline in the UK stood at 139,500 as at Q4 2018, a 22% increase on Q4 2017. 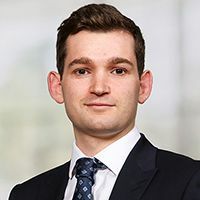 This rapid growth highlights the momentum of the sector which continues to attract significant investment, from both overseas and domestic institutional investors. The number of completed build-to-rent homes outside of the capital is now on par with those delivered in London. Key regional hubs such as Manchester, Birmingham and Leeds have all witnessed significant delivery of BTR stock. There are 14,600 completed homes across the regions compared to 14,800 in London. Given that the number of units under construction in the regions is now larger than the capital (24,000 vs 19,300 units), over the next year we will see the scale of completed BTR in the regions surpass that of the capital. 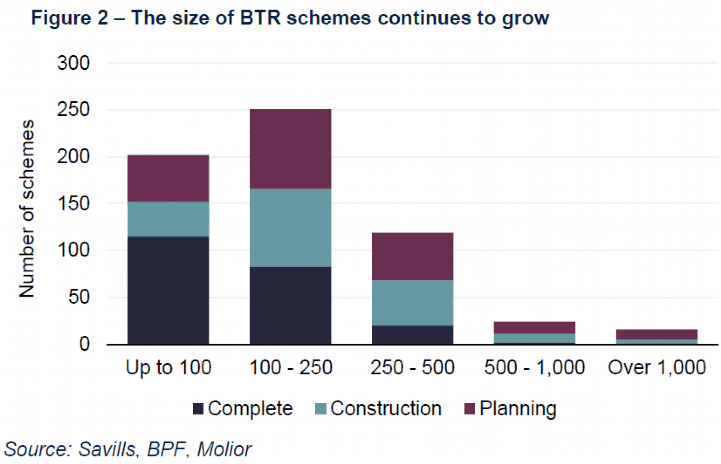 As confidence has grown in the sector, so too has the size of BTR schemes. The average size of a completed scheme is now 133 units, while the average scheme under construction is 240 units. 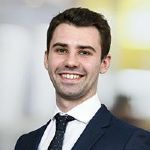 Investors are now looking to accelerate delivery with the majority of schemes under construction or in planning set to deliver in excess of 100 units. Of investors with 5 or more schemes in planning or under construction, Get Living and Criterion Capital are building the largest schemes, each averaging over 700 units. In terms of new build stock there are 12 landlords with pipelines of over 2,000 units, highlighting the scale of the sector. Of these, Quintain, L&Q, Sigma Capital and Get Living have the largest pipelines at over 4,000 new BTR units each. A number of high profile schemes began construction in Q4, the largest of which is in Leeds – Moda Living’s City One development. The total number of schemes starting construction in Q4 was 16, totalling 4,366 units. 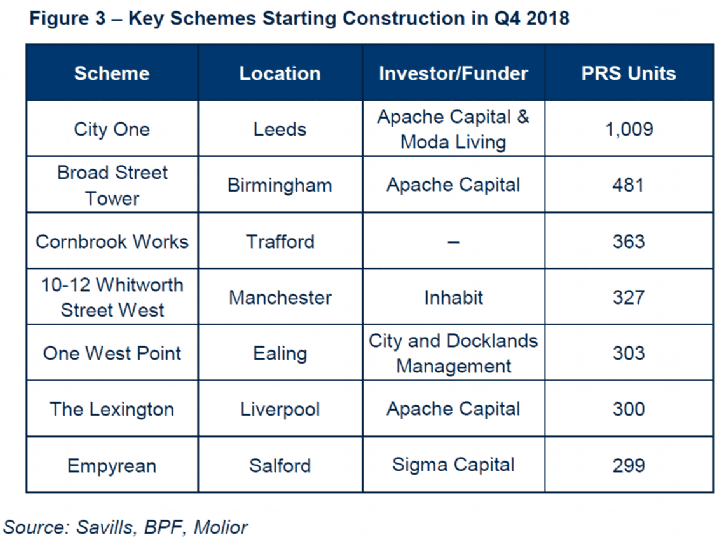 Regionally, the North West saw the highest level of starts in Q4 with 7 schemes beginning construction comprising 1,737 units. In Salford, total BTR units account for 7% of housing stock. 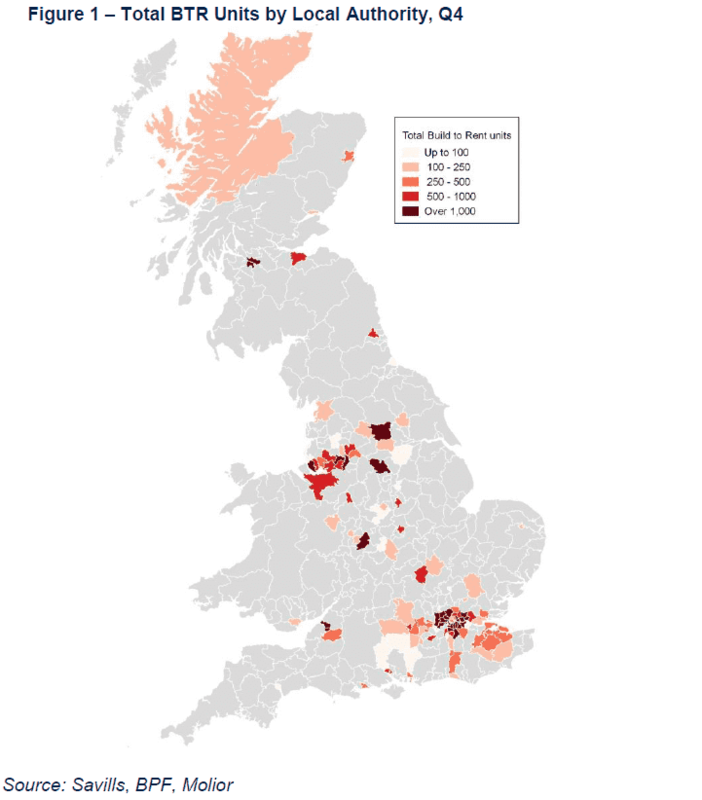 Three schemes began construction in London, comprising 501 units, the second highest number of starts by region. There has consistently been in excess of 30,000 units in the pipeline with detailed permission since July 2016. This constant supply has allowed the number of BTR units currently under construction to rise rapidly. There were 43,374 BTR units under construction as at Q4 2018, a 39% increase on Q4 2017. As a result, the total number of completed BTR units was 29,416 as at Q4 2018, an increase of 29% year on year.